Offering you a complete choice of products which include aluminum winding wire. 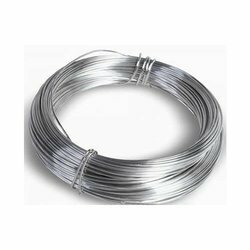 We are one of the Leading manufacturer, supplier and exporter of Aluminum Winding Wire in India. We offer Aluminum Winding Wire to our clients, thus provide complete solution of Winding Wires to various Automobile Industries. We procure the raw material from quality driven organizations, ensuring pure material as per the requirement. We supply our range of products at competitive market prices and as per the specifications. We have a large storage area for storing tones of products so that instant delivery can be done easily.